I think a DIY baby sensory book is such a delight, both to make and share. 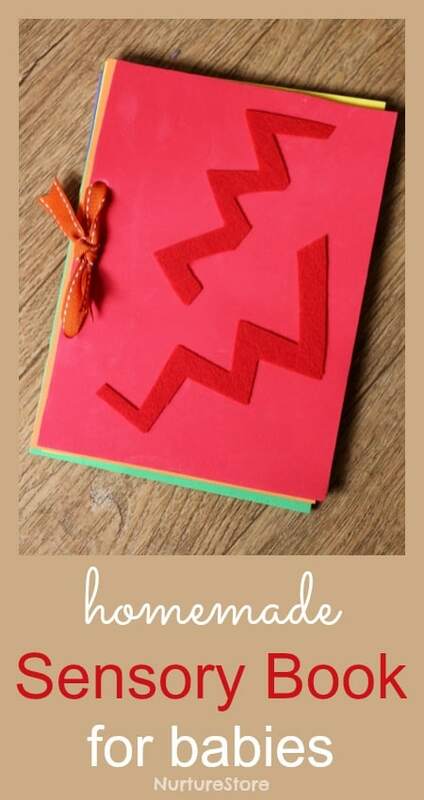 This version is so easy to make and gives you a lovely book to read with your little one, or give as a gift. You’ll need something to use as the pages of your book. You’ll want something that’s nice for your baby to hold and robust enough to take a bit of tugging and turning. 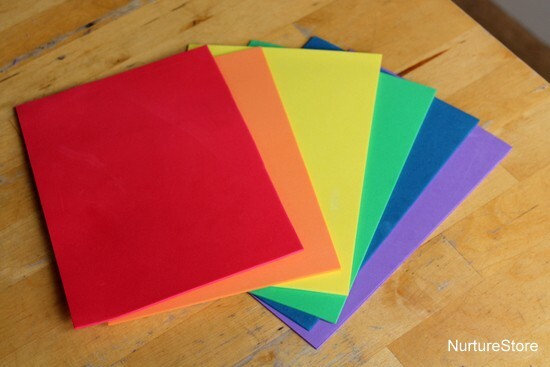 I’m using sheets of craft foam, but you might also use felt, fabric or thick card. A rainbow of colours looks gorgeous. Next you need to punch a couple of holes in each page, so you’ll be able to fasten them together. 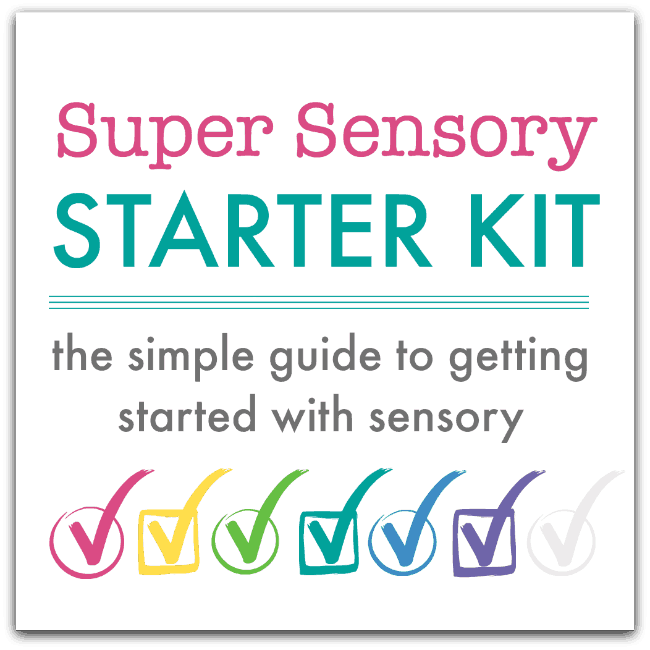 And then you need to add some interesting sensory materials to each page. 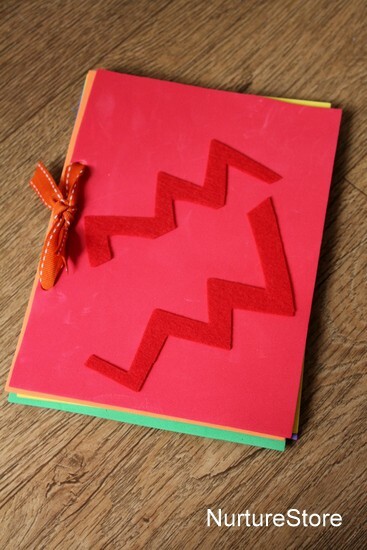 You can use all sorts of materials in the book, fitting any colour theme you want to work to. Include a range of textures so there are plenty of contrasts for your baby to feel. 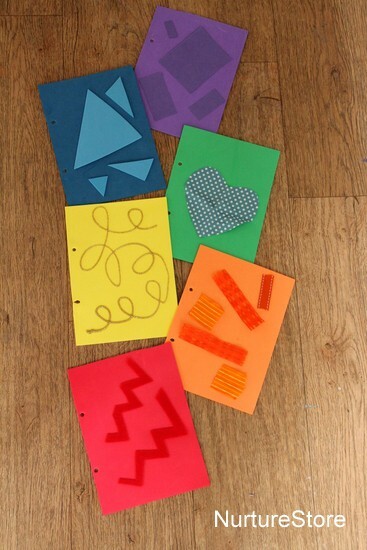 You can cut your materials into random or geometric shapes, numbers, or the letters of your child’s name. You’re going to be enjoying the book with your child of course, and supervising them all the time they’re reading, but still take care with your choice of materials, and pick things that offer a lot of variety but which you are happy for your baby to handle. Whatever you pick, superglue them on to the pages of the book so they are secure. 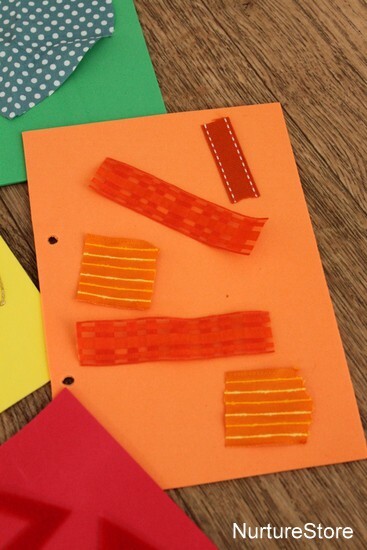 Once all the glue is dry, you can use a piece of pretty ribbon to tie all the pages together. This is such a lovely book to share with your child. Babies are never to young to read with, but take cues from them to know how long to read for – little and often is great. Snuggle together and explore the pages of the book. We can introduce the idea of looking at pages in turn, and holding the book the right way round, but relax and let your baby enjoy flipping the book if that’s what they like. The main idea is to enjoy time together and introduce the idea that these book things are fun! Chat together about the things you can see in the book. What colours, shapes and patterns are there? How does each page feel? Remember to not do all the talking yourself, but also pause and listen to what your baby has to say. With a background in Early Education, Kindergarten and Elementary, I come with lots of ideas…I love this one!!! 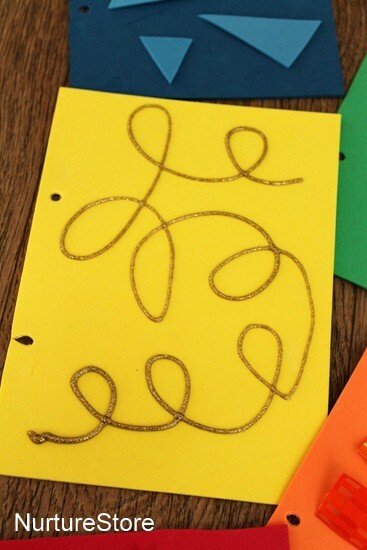 I am planning on make a box full of learning for my 1st grandchild for Chanukah…this is on the list…I love it! Thank you! Your box full of learning sounds like a wonderful gift. 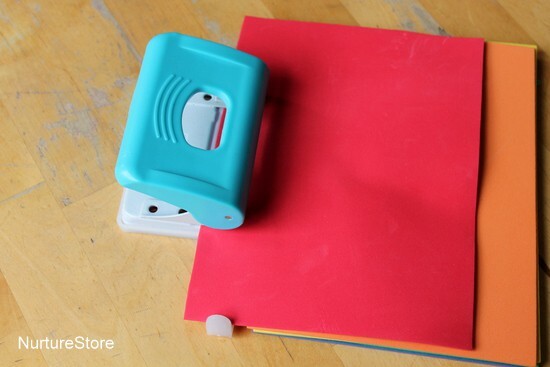 When I made my son a sensory book I took a little lazier route– I went to our local home improvement store, grabbed a bunch of carpet samples (including astro turf), hole-punched them, and tied them together. Quick, easy, and he loved all the feelings of the different textures! Yes Emma, it’s a lovely project for an older sibling to help out with. Hope you have fun making it. This is really great, I will join my early years staff to make some for our school in Nigeria. Thank you for sharing . What is the age limit on these? I want to make one for my cousin but she might be too old. She’s 1. Hi Jamie. I think this would be great for a one year old. As she gets a little older there will still be plenty to talk together about: the colours, shapes, how things feel.